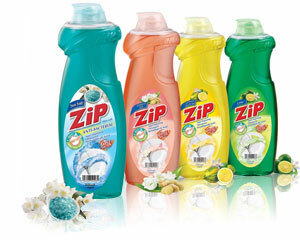 Introducing Zip Gentle, specially formulated for cleaner dishes and smoother hands! Zip Gentle is enhanced with Aloe Vera extract for extra moisturizing effect and is dermatologically tested to be gentle on even the most delicate skin. With the refreshing infusion of Aloe Vera and Cucumber fragrance, dish washing is transformed into a delightful experience. Also available in Lime and Lemon variant with powerful degreasing, added with Vitamin E and moisturizer. It is available in 900ml pack size.